The nation’s capital was growing colder as the late afternoon light slowly gave way to darkness. Shops along Pennsylvania Avenue were still open for last-minute weekend purchases. Childs Restaurant, home of the forty-cent Blue Plate Special (pot roast, mashed potatoes, and string beans—no substitutions), still claimed a few customers, probably guests at nearby hotels who mingled in add conglomeration with stately new government office buildings. Pennsylvania Avenue, the now ghost-like grand thoroughfare, anchored at opposite ends by the White House and Capitol Hill, now had only a passing Chevrolet or LaSalle, an occasional trolley lazily rolling along its centerline, and a few pedestrians, hats pulled down tight on their heads, faces invisible behind turned-up coat collars, battling frigid winds that whipped around building corners and sliced down the gray sidewalks. 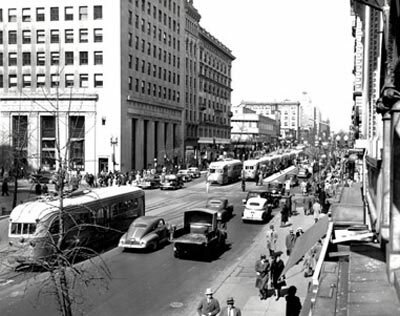 The few hardy souls who braved the elements were finishing weekend shopping at the Woodward & Lothrop, the venerable department store in the city center, now open a half-hour later as Christmas approached; others headed home for the evening after a half-day of work, perhaps anticipating a night on the town; perhaps dinner at the Viking on Thirty-first Street NW billed as Washington’s “Smartest Supper Club” with its always popular “Saturday Special”—only eighty-five cents. For moviegoers there the hilarities of Abbott and Costello in Keep ‘Em Flying at RKO Keiths, or more dramatic fare at the Metropolitan with They Died with Their Boots On (7:00 and 9:30 showings) featuring Errol Flynn and Olivia de Havilland; more high-brow entertainment could be found at the Wardman Park Theater on Connecticut Avenue above Rock Creek with a live, performance of Shakespeare’s Troilus and Gressida. Whether it was a theater for a play, a movie house showing Hollywood’s latest production, or more exotic pleasures at one of the city’s many burlesque palaces, Washington was still a small southern town marked by provincial thinking and a gaping racial divide. During the 1930s Pennsylvania Avenue’s appearance significantly changed with the construction of a one-square-block building that would serve as the new home for the Department of Justice. Situated between Pennsylvania and Constitution Avenues and Ninth and Tenth Streets, the building dominated the eastern edge of the seventy acres that became known as the Federal Triangle. The building’s south side facing the Great Mall housed the Department of Justice, with FBI headquarters and its Washington field office on the north fronting Pennsylvania Avenue. Completed in 1935 after five years of work, the 1.2 million square foot, steel-frame structure covered with Indiana limestone was designed by the Philadelphia architectural firm of Zantzinger, Borie, and Medary in a blended neoclassical revival and art deco style characterized by red roofing tiles, large soaring colonnades, a great hall, and a majestic foyer set off with a spacious interior courtyard that offered natural ventilation and illumination. The building’s interior was a unique integration of art and sculpture topped by concrete ceiling mosaics. The wall murals depicting the history of the American experience were done by well-known American artists such as George Biddle, a former classmate of Franklin D. Roosevelt and brother of Francis Biddle, the nation’s attorney general. 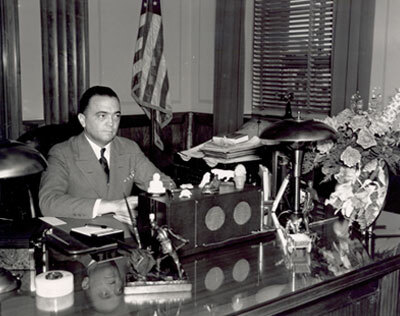 J. Edgar Hoover sat at his neat wooden desk clearing off some last-minute paperwork before ending his day. The forty-six-year-old FBI director worked in a fifth-floor office suite overlooking massive stone columns arching the back side of the new National Archives, the official repository for America two most precious political statements, the Declaration of Independence and the Constitution, along with millions of government records extending back to the nation’s founding. From his desk he could see the imposing dome of the Capitol, which undoubtedly conjured up memories of the Eastern Market neighborhood just a few short blocks beyond, and Seward Square, the home where he was born and spent the first forty-three years of his life. It was only a twenty-minute walk from there, yet light years away in terms of how far he had ascended the ladder of Washington’s political power structure. Formal entrance to the director’s office was through a door and narrow passageway carefully guarded by Hoover’s longtime personal secretary, Helen Gandy. Two years younger than her boss, the New Jersey native first arrived in Washington in 1918 in search of work. Following some secretarial courses at a local business college and George Washington University, she joined the Department of Justice, where she soon took a job as Hoover’s typist and later his personal secretary. 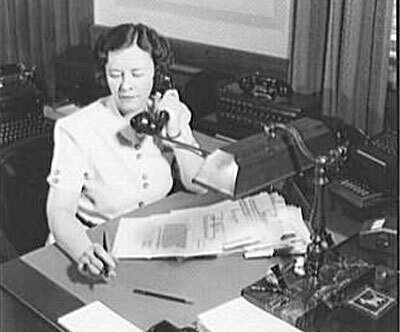 “Miss Gandy” (she never married) oversaw her domain with a steely efficiency, personally escorting visitors into Hoover’s formal office where the always nattily dressed, modest-sized gentleman rose from his large imposing desk at the room’s far end and then gently moved his guest to one of the easy chairs in front of an immense fireplace at the office’s south end where they could relax and chat. 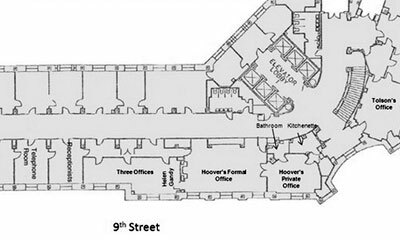 Hoover’s ceremonial office was cavernous. A first-time visitor got the immediate sense of an enormous presence that both dwarfed and intimidated. Covering more than one thousand square feet of floor space the perpendicular room was commanded by a heavy, dark, imposing wooden conference table in the room’s center, with smaller chairs and side tables ringing the walls for the aides and bag carriers of the many generals admirals, politicians and dignitaries with important business with the director. 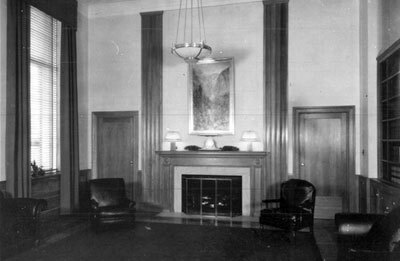 Ochre-colored walls rose to a height of twenty-four feet; one side was embedded with three coffin-like shelves holding leather-bound law books interspersed with mementos from Hoover’s twenty-four years at the Justice Department, reminders of just who occupied this space. Three massive Palladium-style windows, bordered by gold-pleated, stiletto-like, floor-to-ceiling drapes, dominated the equally striking wall facing Ninth Street, engulfing the room with morning sunlight; in good weather they could be thrown open to flood the great space with fresh air. Eye-catching fluted pilasters (non-load bearing) soaring upward to the ceiling and strategically sited throughout the office only enhanced the sense of size and space. Illumination was provided by three Etruscan-style brass lamps suspended from the ceiling by slender thread-like chains. At the base were rare, translucent, paper-thin bowl-shaped shades composed of salt, alum, a form of potassium sulfate, and alabaster quarried near Volterra, an ancient city in Italy’s Tuscan region, which suffused light throughout the large space with a soft luminescent glow. Complementing this sense of size and strength was a vast parquet floor designed in an equally luminescent moiré pattern with each piece of ammonia-fumed, quarter-sawn oak specially hand-fitted with craftsman-like precision to highlight the right-angled annual rings of the wood. A massive oak desk with a modest left-side cabinet for correspondence trays and a telephone allowed Hoover to swing back in an overstuffed chair and gaze out the window while chatting with some important caller. 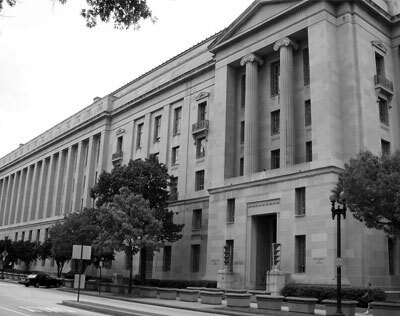 Standing as silent sentinels behind his chair were two large pedestaled American flags with the Department of Justice seal on the wall above. In photographs and newsreel images taken over the years, Hoover is often seen at his desk in front of two large oak doors. They led to a much smaller, rather simple, triangular-shaped room with a small window and a private lavatory that Hoover always used as his working office. There he met with his top advisors and other Justice Department officials, reserving the large office strictly for conferences and official visits. Through a door off this confidential office marked ‘Private,’ the director could quietly slip out for meetings down the hall with the attorney general or to his nearby private elevator, always ready to whisk hum to the basement garage where his personal chauffeured limousine would await him. Nineteen days before Christmas 1941, the FBI director sat at the pinnacle of a fast-growing federal agency that probably even amazed him. Born on New Year’s Day in 1895, he was a Washingtonian to the core. Raised just blocks from Capitol Hill, Hoover worked as a young man at the Library of Congress while completing his law degree in 1916 and an advanced degree in law a year later, both from George Washington University. 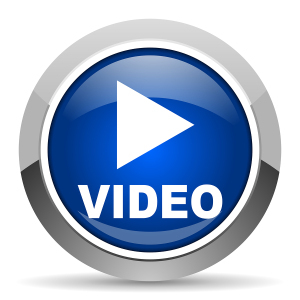 After passing the District of Columbia bar exam he entered the employ of the Department of Justice the following July. After a year of service there his name, John E. Hoover, was suddenly altered in the name of efficiency. The momentous change occurred for the most mundane bureaucratic reason—confusion over mail delivery with another, more senior employee named John K Hoover. 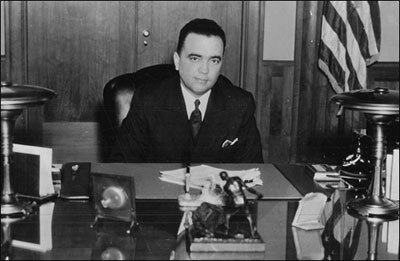 Since the future FBI director as so new, his name was forever changed to J. Edgar Hoover. At the start of the 1920s Hoover, then only a low-level staff attorney, weathered the national backlash of the so-called Palmer Red Raids, the roundup of aliens and radicals on flimsy legal grounds instigated by A. Mitchell Palmer, President Wilson’s attorney general. 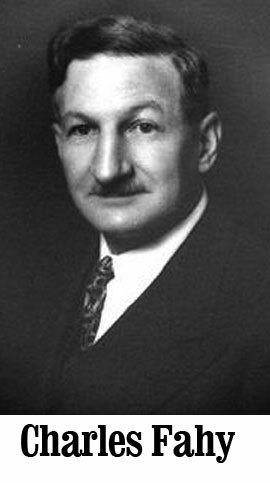 In May 1924, President Coolidge’s newly appointed attorney general, Harlan Fiske Stone, appointed Hoover to the position of acting director of the Bureau of Investigation (changed to the Federal Bureau of Investigation in 1935), with orders to reform a service infested with incompetency, inefficiency, and corruption. Over the next seventeen years, through a combination of iron will, ruthlessness, raw intelligence, hard work, political savvy, and some very good luck, he transformed the FBI, expanding its investigative mission from anti-trust matters into a new role as nationwide crime-fighting weapon with rapidly expanding authorities in the field of national security. 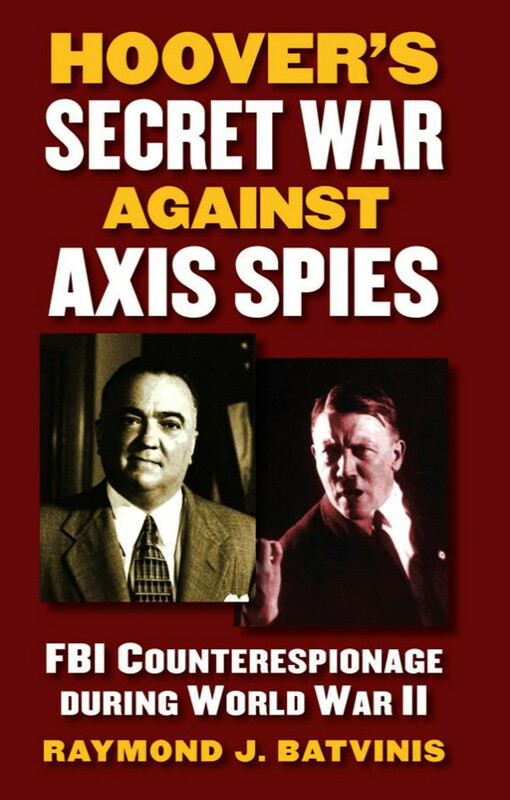 The accidental discovery in February 1938 of a large, well-organized German espionage ring operating in the United States followed by a botched FBI investigation led Hoover to refocus the FBI toward counterespionage. 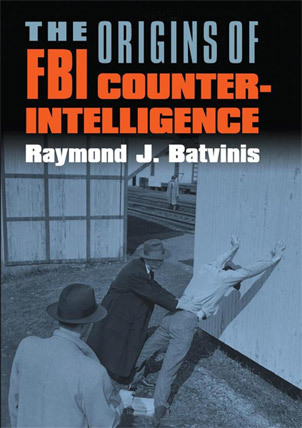 These efforts received a boost in June 1939 when President Franklin Roosevelt centralized counterespionage policy by ordering all cabinet departments to report allegations of sabotage, espionage, or subversion in their departments to the FBI. Hoover soon found himself chairing a secret coordinating committee with the Department of State and the armed forces. FBI reach soon extended beyond U.S. shores with investigators secretly dispatched to China, the Soviet Union, and most Western European capitals. Hitler’s invasion of France in May 1940 led to White House orders for FBI electronic surveillance of the embassies and consulates of Germany, the Soviet Union, Spain, Japan, and Vichy France, followed two months later by another presidential order for Hoover to establish America’s first organized clandestine foreign intelligence service in the nation’s history—the Special Intelligence Service. Seventeen months later, as 1941 receded into history, an increasing number of Hoover’s agents were moving into Latin American capitals with orders to infiltrate national governments in hopes of carrying away useful secrets for Roosevelt and his policy makers. Hoover was exhausted. It had been a pretty rough week for him, with one crisis hitting right after another. 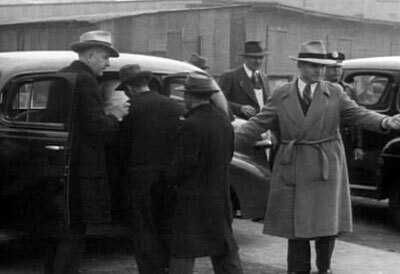 On Tuesday, December 2, the notorious head of the crime syndicate Murder Incorporated, Louis “Lepke” Buchalter, whom Hoover had personally arrested in August 1939, was sentenced to Leavenworth Prison for murder. 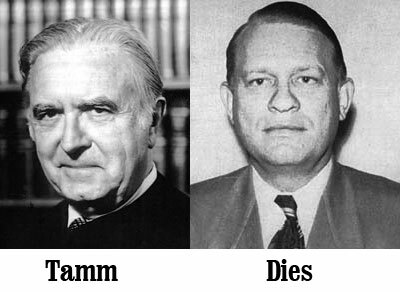 The next day Edward Tamm, Hoover’s number three man, quietly visited Congressman Martin C. Dies at his Capitol Hill office to reveal an FBI investigation which had uncovered Dies’s receipt of a bribe for allowing Jewish refugees into the United States through Cuba. The dumbstruck Texas Democrat, a vocal critic of the FBI, never made another accusation against Hoover or his organization again. 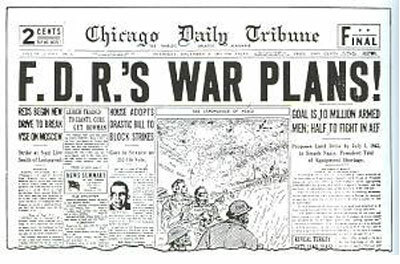 The next day Hoover ordered an investigation of a catastrophic leak of military secrets when simultaneous articles appeared in the Chicago Tribune and the Washington Times-Herald that morning accusing the Roosevelt administration of lying to the American public about trying to avoid war with Germany. Reporters had gotten a verbatim copy of the War Department’s top-secret “Rainbow” war plans, comprising five hypothetical war situations (each designated by a color) prepared by the Joint Board of the United States Army and Navy at the insistence of the president. Rainbow Five, the last in the series and classified as top-secret, served as the basis for America’s strategy in World War II by outlining in detail the plans for a U.S. alliance with Great Britain and France in offensive military operations against the Germans throughout Europe and Africa. For the next two days FBI agents and military officials traced the security of the documents, with Hoover personally interviewing Navy Secretary Frank Knox, Admiral Harold Stark, the chief of naval operations, and Richmond Kelly Turner, a rear admiral who authored the navy’s portion of the plan. While quietly threatening rogue congressmen and chasing war-plan leakers, Hoover also had other official duties to address. On Thursday afternoon he hosted the twenty-eight-year-old Prince Pedro Gastao of Orleans Braganza, a claimant to the Brazilian throne as titular Emperor of Brazil and head of the Petropolis branch of the Brazilian Imperial House. On Friday, December 5, with Dies silenced, the leak investigation in full swing, Edward Tamm met with William Donovan, whom the president had appointed Coordinator of Information (COI) in June 1941. 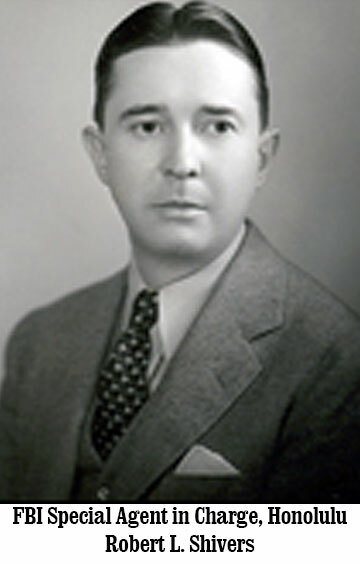 Starting from scratch, Donovan, a World War I Medal of Honor winner and Wall Street lawyer, rapidly began assembling a collection of academic specialists in geography, area studies, history, and political science to examine raw intelligence collected by various government agencies and then to mold it into useful analytical reports for policy makers. As his staff grew, so did the necessity for security clearance investigations. Tamm and Donovan signed a memorandum of understanding mandating FBI background investigations on each of Donovan’s staff members. Since arriving at ten o’clock that morning, Hoover had met with Tamm and D. Milton “Mickey” Ladd, his assistant director for national defense. He spoke by phone with Attorney General Francis Biddle in Detroit, Percy “Sam” Foxworth, the head of the FBI’s New York office, presidential press secretary Steve Early, the legendary Washington columnist Drew Pearson (probably calling for an update on the Rainbow 5 investigation), and Associate FBI Director Clyde Tolson, who was visiting his family in Cedar Rapids, Iowa. By three o’clock, after a final review with Tamm, his desk cleared by Miss Gandy, Hoover donned a heavy woolen coat, slipped out the back door through an ever-darkening hallway to his elevator, and headed for the basement where his chauffeur waited to take him to a plane bound for New York City. Robert L. Shivers, the Special Agent in Charge of the FBI’s office in Honolulu, screamed into the telephone. 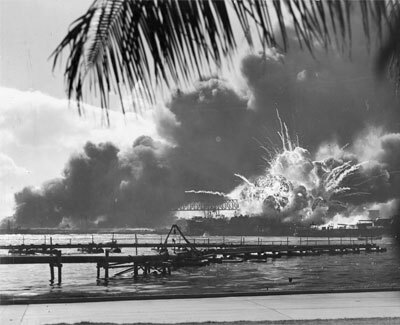 Bombs were dropping there were deafening explosions, noise beyond description, pedestrians on the street frantically scrambling in all directions, and in the distance plumes of black acrid smoke slowly rising over the navy’s great anchorage at Pearl Harbor, filling the air with an odor of burning oil that gently floated toward Honolulu—just six miles away. Shivers suddenly had a lot on his plate. As he stood (probably crouching) in his office at the Dillingham Building in Honolulu, his every effort was directed at notifying Hoover that America was under attack. Five thousand miles away a switchboard operator at FBI headquarters immediately relayed the call to Room 2501, Hoover’s regular suite at the Waldorf-Astoria. To allay any doubts, Shivers stuck the telephone receiver outside his office window so Hoover could hear for himself, across eight time zones, the horrific sounds of the opening salvo in America’s new war. Shivers called again. This time he spoke to Crawford “Kit” Carson, the head of the Special Intelligence Service at his office in Washington, telling him that the attack had ended, but that early reports were bad: two battleships sunk, one badly damaged, the local airbase in shambles with planes smoldering on the ground, hundreds dead and injured, and the territorial governor declaring an unlimited emergency. Shivers, together with Office of Naval Intelligence, the army’s Military Intelligence Division, and the local police, were cordoning off the Japanese consulate. And Shivers would be in his office, available via the continuously open telephone and radio, for the foreseeable future. Hoover was in his private office on the telephone with Charles Fahy at the White House. Born in Rome, Georgia, in 1892, Fahy had attended the University of Notre Dame and Georgetown University, where he received his law degree in 1914. After service as a naval aviator (winning the Navy Cross) during the First World War, Fahy began a law practice in Washington, later opening an office in Santa Fe, New Mexico, before returning to Washington to work for the Roosevelt Administration in the 1930s, eventually becoming Solicitor General of the United States. After just thirty-seven days on the job, he suddenly found himself filling in during these intense early hours for Attorney General Francis Biddle, whose speech to the Slav-American Defense Savings Committee at Detroit’s Masonic Temple had been interrupted by news of the attack; Biddle was soon en route to the capital aboard an army plane. Earlier that day Fahy was at home napping after attending church and a midday dinner when he received a call informing him that Admiral Harold Stark, Chief of Naval Operations, had just called the DOJ with news of the attack. Arriving at the attorney general’s fifth-floor suite, now a makeshift command post, he learned that Roosevelt had called him at home. When Fahy telephoned the White House the president told him simply, “I want you to do what you feel necessary to be done there,” then related his concerns for the protection of the Japanese embassy and consulate officials from possible retaliation by angry Americans. Shortly after passing these orders on to Tamm, who was already coordinating FBI activities while Hoover was returning from New York, Deputy Secretary of State Sumner Welles called Fahy requesting FBI activation of wiretaps on the Japanese embassy and consulates “to pick up what information was possible.” This, too, was passed to Tamm. The remainder of the afternoon was spent huddled with Fahy’s new legal team, putting the final touches on Proclamation 2525, “Alien Enemies—Japanese,” prepared by FBI and Justice Department officials weeks earlier. At the time of Hoover’s call, Fahy was impatiently sitting outside the White House’s second-floor family residence for a few moments with President Roosevelt so that he could sign the necessary documents authorizing the arrests of thousands of Japanese aliens throughout the nation during the hours ahead. The solicitor general could only tell the FBI director that his waiting would continue. Immediately following the news of the attack, Tamm notified all FBI field offices nationwide to “proceed immediately” with arrangements for arrests of dangerous Japanese aliens and to begin coordinating with the local immigration authorities who would then take custody of the individuals. SACs were told to await the president’s go-ahead before acting and thus ensure that Washington had the names of every person scheduled for arrest. Field offices were given two hours to comply with these orders. Hoover was impatient; he needed to know the status of the president’s signature on the proclamation. At 7:03 p.m. he called the White House again. Fahy and Francis Shea, his assistant attorney general, were then entering the family quarters, where they found the president in bed propped up by pillows, pen and pad in hand, surrounded by the First Lady and their oldest son, James, a Marine Corp captain. In silence Fahy placed the documents gently on Roosevelt’s lap. Years later he recalled that moment for historian John Toland. After dolefully affixing his name, Fahy remembered, the weary president, with so many details running through his mind, looked up at the men and reminded them of a remaining requirement for the secretary of state to affix the great seal of the nation to the documents. As they left the room FDR issued one final order. “Now get done what needs to be done, and I’ll take care of seeing the appropriate papers are signed.” The meeting lasted ten minutes. Eight minutes later Fahy called Hoover from a White House phone. The warrants were signed; the dragnet could begin. Three minutes later Hoover updated Edward J. Ennis on Fahy’s White House mission. A former counsel for the Immigration Service, Ennis now served as the Justice Department’s head of the Alien Control Program. Eighteen minutes later Shivers again on the phone (the first of two conversations with Hoover that evening) updating the boss and getting the go-ahead for the roundup. For Hoover, the next three hours were a blur of calls and an unrelenting flow of FBI and Justice Department officials in and out of his small office. Orders were issued canceling all annual leave, FBI offices were placed on a twenty-four-hour schedule, working with the local police, increased protection was mounted at the Japanese embassy as well as all consulates throughout the nation, all civilian aircraft were grounded, and commercial air carriers were asked to refuse seats to Japanese passengers or to accept packages from Japanese for fear of sabotage. 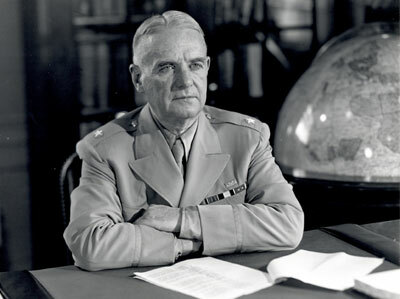 At 7:33 p.m. Shivers again spoke for fifteen minutes with Hoover, reviewing the unfolding magnitude of the catastrophe, the appalling destruction at Pearl Harbor, and army air installations along with the growing tally of dead and injured, and assuring him of the health and safety of the FBI’s local staff. 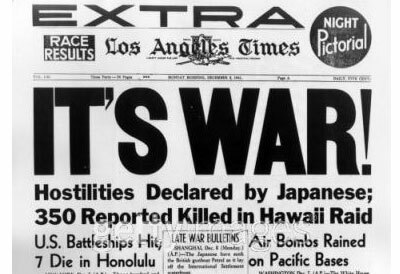 Shivers then assessed the probability of a possible Japanese uprising in the Hawaiian Islands and the growing fear among the local population that the attack was only the prelude to a Japanese amphibious invasion at any moment. Hoover called James Roosevelt at 7:48 p.m., updating him on Shivers’ report (an open telephone line between Honolulu and Hoover’s office was continually manned throughout the afternoon and evening), followed six minutes later with a call to Frank Knox for the same purpose. A Republican, Knox had been a private who followed Theodore Roosevelt up San Juan Hill during the Spanish American War, later serving as a major during the First World War before making a fortune as owner of the Chicago Daily News. In 1936 he ran for vice president on the Republican ticket with Alf Landon, losing in a landslide to Roosevelt. Now serving as secretary of the navy, he was at the White House awaiting the start of an emergency cabinet meeting scheduled for 8:30. Knox warned that Germany and Italy were planning to declare war on the United States, leading Hoover to suggest the immediate arrests of German and Italian aliens now that authorizing documents had been signed by the president. From a “psychological point of view,” he said, it would be better to do so now rather than risk a reoccurrence of sabotage as happened in the days leading up to World War I. Knox agreed to bring the matter up with the president. Shivers and Hoover again spoke for four minutes, at 8:59 p.m. Four minutes later William Donovan called for an update (the first of two calls from Donovan to Hoover that night). At 9:30 p.m. Hoover dispatched a note to Assistant Secretary of State Adolf Berle apprising him of the actions taken that evening. Finally Biddle, fresh from the cabinet meeting, called Hoover at 9:42 p.m. from a White House telephone (in the first of two conversations that evening) for an update lasting almost forty minutes and again for six minutes at 10:31 p.m. It was probably during these conversations that Hoover learned of Roosevelt’s verbal instructions, temporarily appointing him to serve as the head of censorship. Everything that could be done that fateful night was done. President Roosevelt’s signature on Executive Order 2525 had been flashed to every FBI field office across the land, setting in motion a nationwide dragnet marking the opening hours of the FBI’s role in the Second World War. Hoover’s men were now fanning out, knocking on doors ringing doorbells, and making arrests. 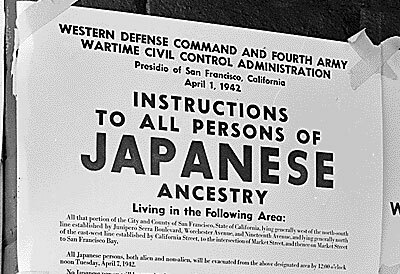 It was the start of a process that would result in more than twelve hundred Japanese aliens in INS custody over the next forty-eight hours. For the FBI director it had been a momentous day. There was nothing else to do now but go home and get some rest. He was going to need it. Hoovers war had only begun.